Hey, Wisconsin. Thank you. Thank you. Thanks so much. Thank you. crisis and back to prosperity. And I know we can do this. and the man for the job as Governor Mitt Romney. certainly came as news to my family. Janna, my daughter Liza and our boys Charlie and Sam. Florida. There she is, my mom, Betty. lost him when I was 16, he was a gentle presence in my life. to join our cause and get this country working again. talked about change, many people liked the sound of it. and get moving in life. welfare anachronism at their worst. of the deal. What did taxpayers get out of the Obama stimulus? the length of the entire American continent. federal government in charge of health care. so we can repeal Obama Care. of Medicare by President Obama. and for my kids and yours. will win in this debate. more and we need to be better listeners? suffered no shortage of words in the White House. added more debt than any other president before him. combined. One president, one term, $5 trillion in new debt. and then did exactly nothing. solutions equal to the problems. How did the president respond? dares to point out the obvious. spending money we don’t have. wealth, we will get America creating wealth again. jobs, and the men and women who need jobs. weekday for years, and rode 40 miles each morning to Madison. small businesswoman whose happiness wasn’t just in the past. Her work gave her hope. It made our family proud. And to this day, my Mom is my role model. out of nowhere. A lot of heart goes into each one. worrying, and sweating for them. of generating 12 million new jobs over the next four years. we choose to limit government. from the author of the Reagan tax reforms, the great Jack Kemp. despair. We need that same optimism right now. the American president is on their side. force for peace and liberty that this world has ever known. on the record, and then calls that the record. he envisions, but this economy that we are living. wondering when they can move out and get going with life. You have not failed, your leaders have failed you. where everything is free but us. control, with government there to help us cope with our fate. growing up in Wisconsin, or at college in Ohio. country. That is the American dream. supervision and sanctimony of the central planners. new administration. A challenger must stand on his own merits. He must be ready and worthy to serve in the office of president. … and I have heard it on many hotel elevators. business, that’s a good thing. saw its credit rating upgraded. reason, bearing the image and likeness of the lord of life. responsibilities, is that of the strong to protect the weak. cannot defend or care for themselves. all our veterans, and we thank them. possible choice, because the time for choosing is drawing near. So here is our pledge.
. Together, we can do this. economy growing again. We can make the safety net safe again. effort everything we have. Let’s see this through all the way. 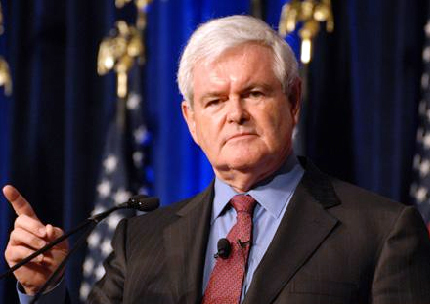 Newt Gingrich’s speech at the Conservative Political Action Conference (CPAC) in 2012. 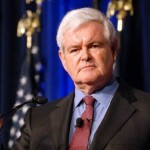 Go to newt.org.